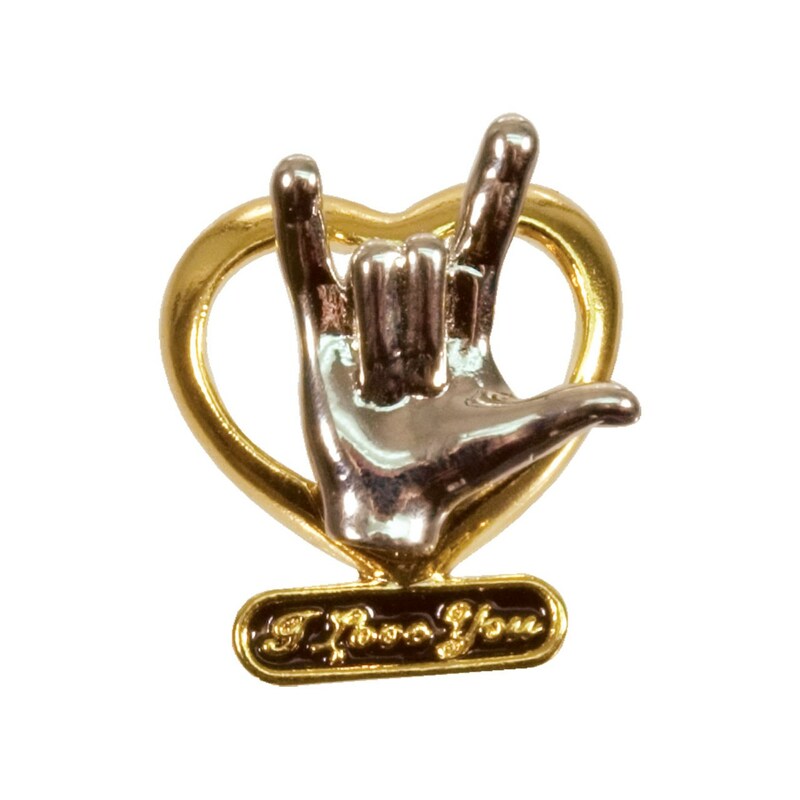 Display the American Sign Language (ASL) message 'I Love You' with this stylish fashion accessory. The Open Heart ILY Pin features a hand signing ILY in a polished silver-tone finish set against a polished gold-tone heart. Completing the message is the wording "I Love You" in elegant written script.